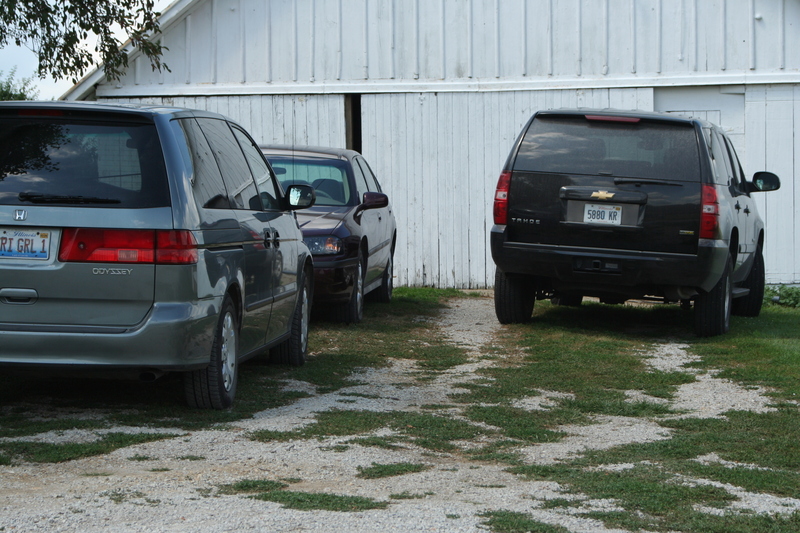 As you exit your vehicle, please make a note of your aisle number so you can find your car at the end of another fun filled day at the Pleasant Hill Amusement Park. Last Monday we had people pulling out the back step and adjusting the underlying cistern in preperation for repouring the new larger step. In addition, my aunt and cousin and cousin’s daughter came to help paint the master bedroom. My mother was unpacking boxes and putting away books, books and more books. 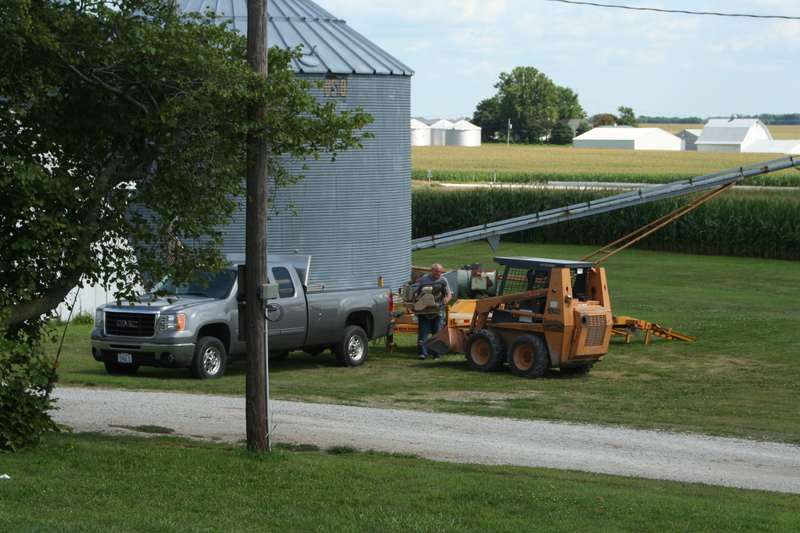 My dad and brother were also around, emptying the grain bins before this year’s harvest. We also had various people dropping in throughout the day to check on everyone’s progress. 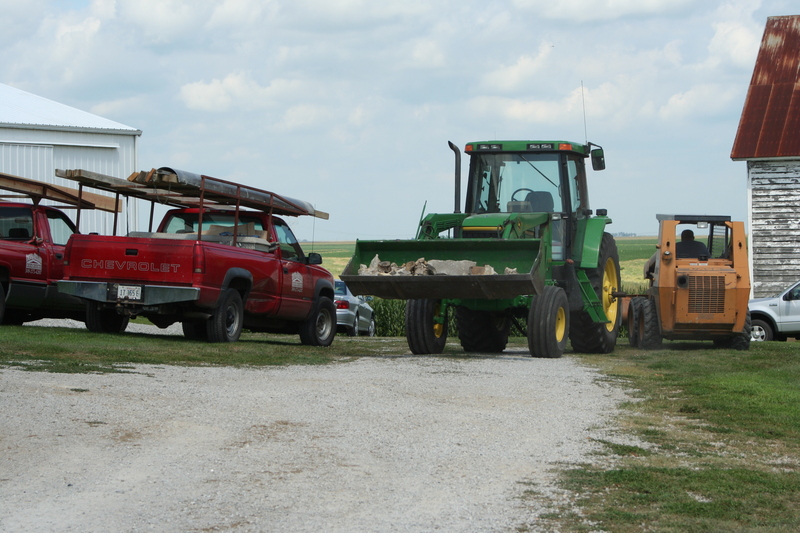 At one point we had 10 cars (and pickups), 2 grain trucks, 2 tractors, a flatbed trailer, and that cute little front loader. I think I’m related to all but one vistor/worker. Families come in handy, don’t they?